Who Are The Top Employers In Manhattan Beach? When you’re thinking about relocating to the area, trying to find the Top Employers in Manhattan Beach, CA becomes incredibly important. We know you’re probably dreaming about the ocean breeze and quaint suburban neighborhoods but a shorter commute is also pretty important. Manhattan Beach may be a small city but it boasts several major companies that provide a wide range of employment opportunities to local residents. 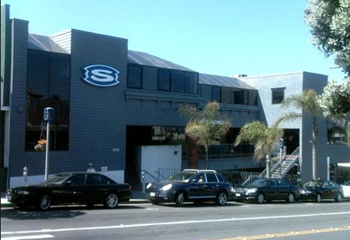 When looking into companies that are headquartered in Manhattan Beach, Skechers is of course the frontrunner. Located off of Sepulveda, their offices span several buildings. Although Skechers is a major international company, they are incredibly ingrained in our local Manhattan Beach community. They support and sponsor several events throughout the year, which help build a strong sense of community for local residents. If you’re looking for a wide range of job possibilities, we definitely recommend checking them out. Kinecta is another major company that’s headquartered in Manhattan Beach. Located off of Rosecrans, Kinecta is a credit union that’s estimated at bringing in $1 - $2 billion per year. Whether you’re looking for a management/director role or an entry-level position, they have several opportunities available. And we can’t really imagine anything more convenient than a three minute commute into the office! 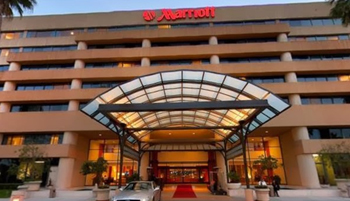 Although not directly headquartered in Manhattan Beach, the Marriott is a major employer in the area. From staffing positions to major management roles, they offer a myriad of opportunities if you’re looking to relocate to Manhattan Beach, CA. When you’re considering relocating to Manhattan Beach, finding the right job is probably one of the biggest obstacles to overcome. We may do real estate but what that also means is that we know every nook and cranny of this city like the back of our hand. So if you’re considering moving to the area, give us a quick call with any of your questions and we’ll be more than happy to help! (310) 953-4754.